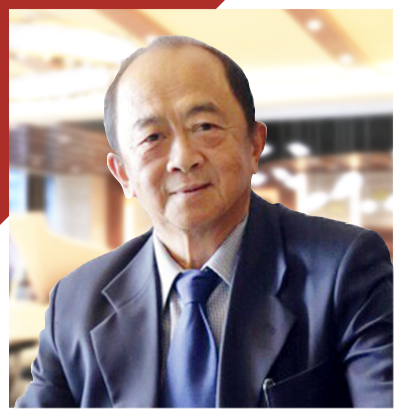 Mr Ang Mong Seng has more than 30 years of experience in estate management. He was the Chief Operating Officer of EM Services Pte Ltd from 2002 to 2011 and General Manager for Sembawang Town Council from 1988 to 1997. Mr Ang was the Member of Parliament for the Bukit Gombak Single Member Constituency from 1997 to 2001 and Hong Kah Group Representation Constituency from 2001 to 2011. He served as the Chairman of Hong Kah Town Council from 1997 to 2011 and was a member of the House Committee in Parliament. He was also the Vice Chairman of South West Community Development Council. Mr Ang retired from politics prior to the 2011 General Elections. Mr Ang holds a Bachelor of Arts degree from the Nanyang University, Singapore. 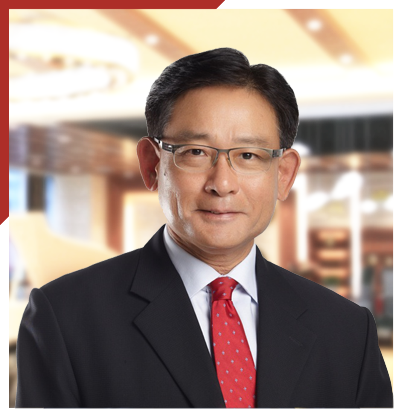 He is a recipient of the Public Service Medal (PBM) and Public Service Star (BBM), and is currently an independent director of SGX-ST listed companies, Chip Eng Seng Corporation Limited and Hoe Leong Corporation Limited. Mr Tan is a professional accountant by training and has garnered more than 20 years of experience as CFO or CEO in various industries, including marine, construction, property development and investments, pharmaceutical, leisure, manufacturing, trading and investments holding. Mr Tan is active in the corporate scene, having helped companies to IPO in both the Singapore as well as the Australian Securities Exchanges. Mr Tan has also driven several merger and acquisition exercises as well as corporate restructuring or divestment exercises. Mr Tan is very familiar with the various financial institutions and has helped many companies secure their financing needs. Mr Tan is a director of ACH Investments Pte Ltd, a specialist corporate advisory firm in Singapore. Mr Tan has a Master of Business Administration in International Business and a Bachelor of Accountancy (Merit) from the Nanyang Technological University of Singapore. Mr Tan is also a Fellow of the Institute of Singapore Chartered Accountants and CPA Australia, a member of the Singapore Institute of Directors and a Graduate member of the Australian Institute of Company Directors. 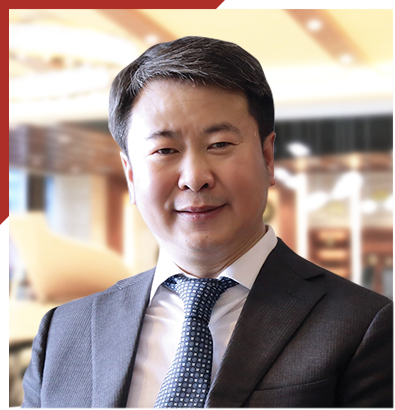 Mr Zhu is currently the Chief Executive Officer and Director of UGP, and Chairman and Director of Golden Land Real Estate Development Co., Ltd. Based in Yangon, he is responsible for the development of the Company’s project, Golden City. Under his charge, Golden City has become the best-selling luxury mixed-development project in Yangon. 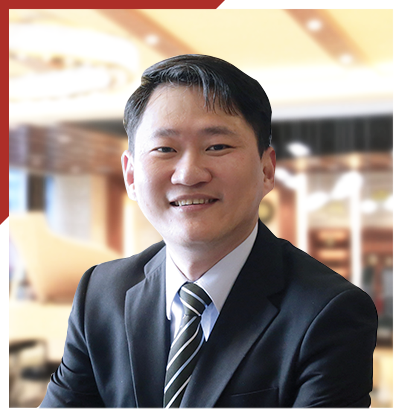 Mr Zhu has more than 10 years of working experience in the real estate and mineral resources sectors. He has worked in and held senior positions in various Fortune 500 companies, including Motorola Inc., Siemens AG, Sichuan New Hope Group Co., Ltd. and its subsidiaries, and Sichuan Chuanwei Group Co., Ltd. and its subsidiaries. Mr Zhu has led many companies which are listed on the Hong Kong Stock Exchange, most significantly, China Vanadium Titano-Magnetite Mining Company Limited, PRC’s first iron ore company listed in the Main Board of Hong Kong Stock Exchange in 2009. In March 2010, Mr Zhu set up China Polymetallic Mining Co., Ltd., a ferrous mining company, and led the company through its successful listing on the Hong Kong Stock Exchange in December 2011. Mr Zhu graduated with a Degree in Economics from the Southwest University of Finance and Economics in Chengdu City, Sichuan Province, PRC, and is also a certified public accountant. Mr Lim has more than 25 years of experience in the wealth management industry. Mr Lim started his career with PricewaterhouseCoopers and was the Chief Executive Officer of SG Trust (Asia) Ltd, a wholly-owned subsidiary and fiduciary services arm of Societe Generale Private Bank that provides wealth management, estate and succession planning services until October 2014. Prior to this, he was the Managing Director and subsequently a Senior Consultant at HSBC Private Bank (Suisse) SA Global Wealth Solutions. Mr Lim currently provides consultancy advice in the field of global wealth solutions, and serves as an independent director of various SGX-ST listed companies, including Mirach Energy Limited, Bund Center Investment Ltd, Keong Hong Holdings Limited and Hong Fok Corporation Limited. Mr Lim holds a Bachelor of Commerce degree majoring in Accounting and Finance from the University of Newcastle, Australia. He is a fellow member of CPA Australia and the Institute of Singapore Chartered Accountants, and a member of the Society of Trust and Estate Practitioners. Mr Teo brings with him more than 30 years of vast experience in the building and construction industry and his prominent projects include the Supreme Court Building, the Merlion at Sentosa, Nanyang Technological University, and several condominium and housing development projects. Mr Teo has more than 40 years of experience in management and cross-border investment and has led the IPOs of multiple Hong Kong and Singapore listed companies. 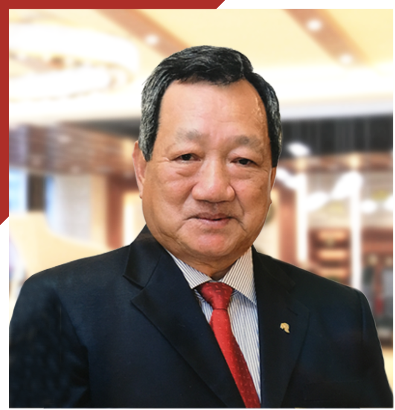 Mr Teo is the founder, a former Non-Executive Director and former CEO of Sapphire Corporation Limited, a company listed on the SGX-ST.
Mr Teo is a committed investor in Myanmar with multiple on-going projects. Mr Teo entered Myanmar in the early 1990s and was the contractor for Traders Hotel (now known as Sule Shangri-La, Yangon). Mr Teo founded and led the Golden City Project, Yangon’s first mixed development and also the tallest and one of the best-selling development project in Myanmar. Mr Teo’s vast experience and acute business acumen has contributed to the Company.